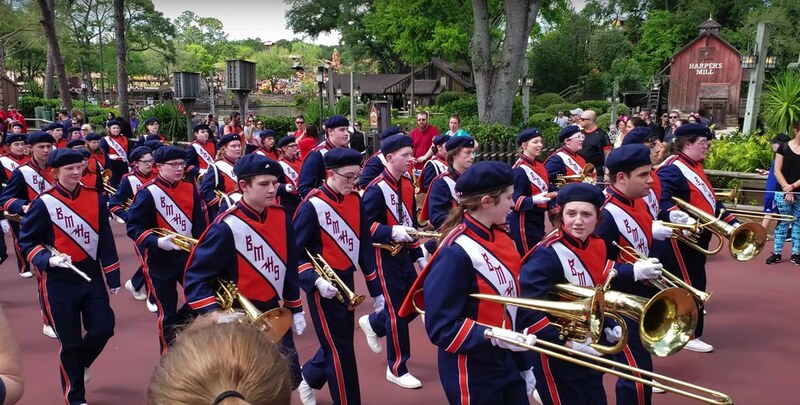 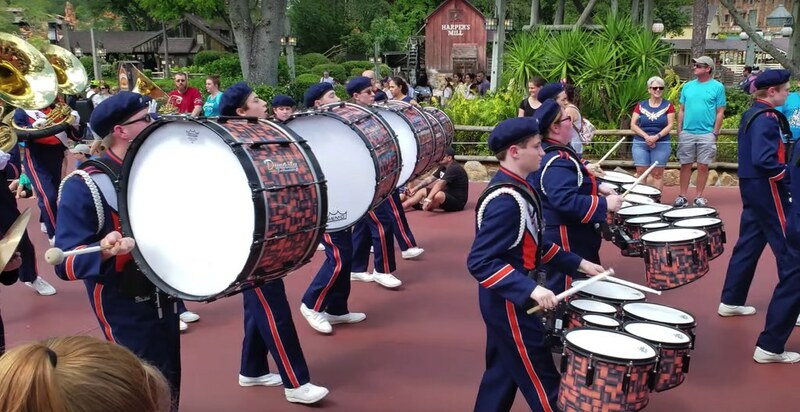 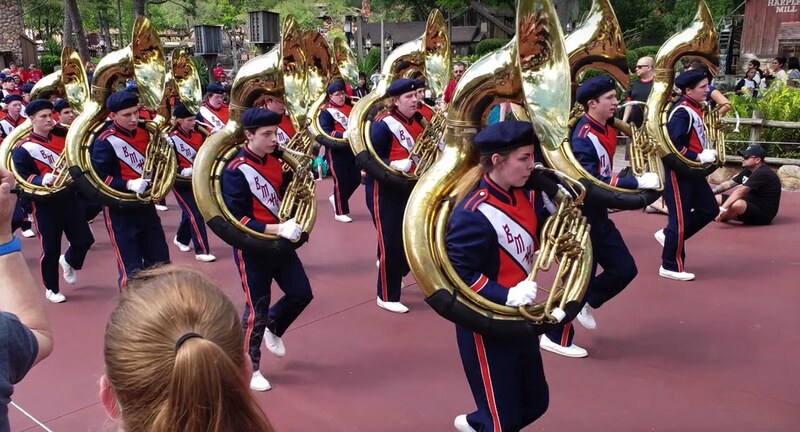 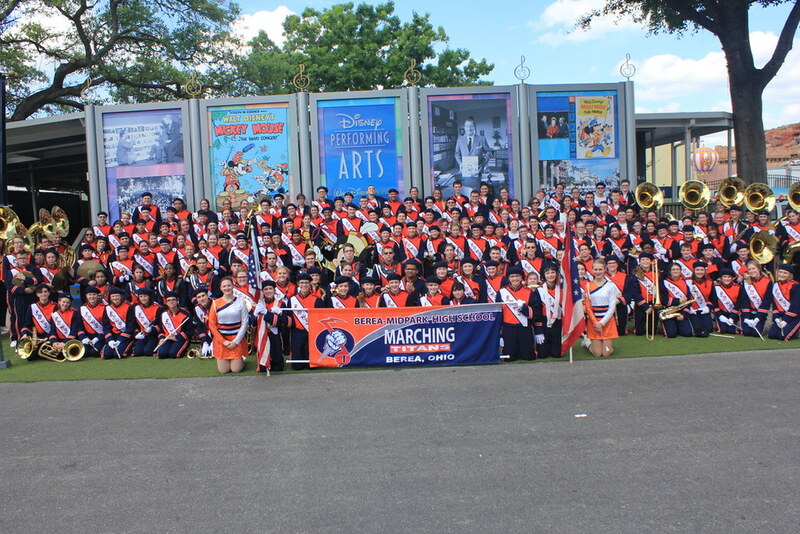 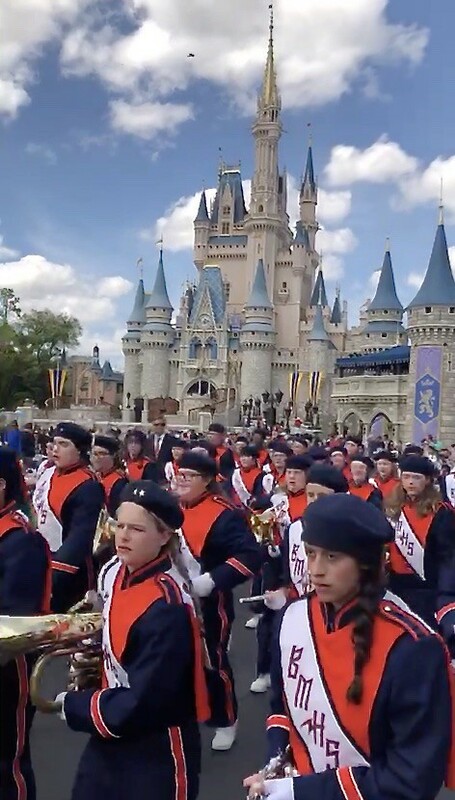 At the center of the Titan Band’s trip to Disney World was their performance at the Magic Kingdom. 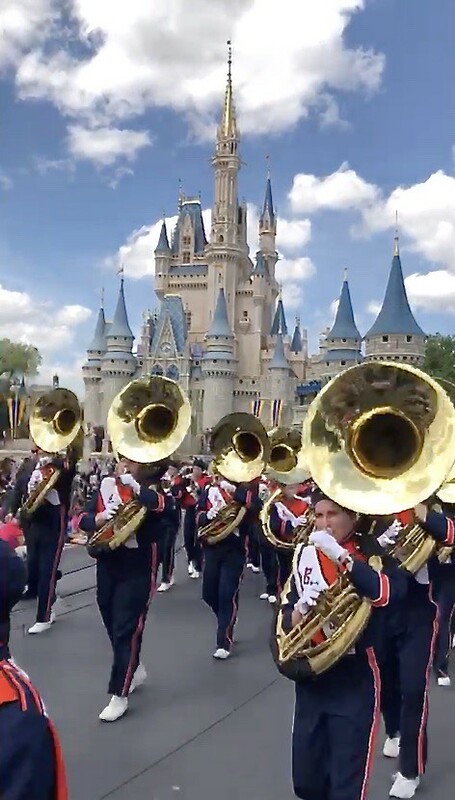 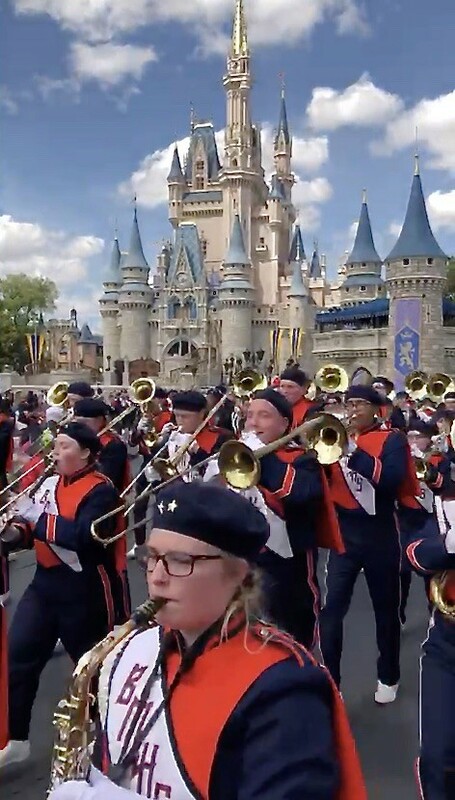 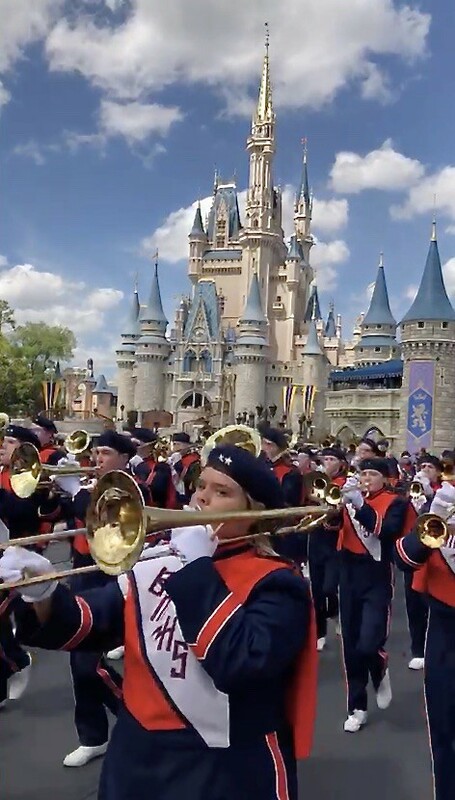 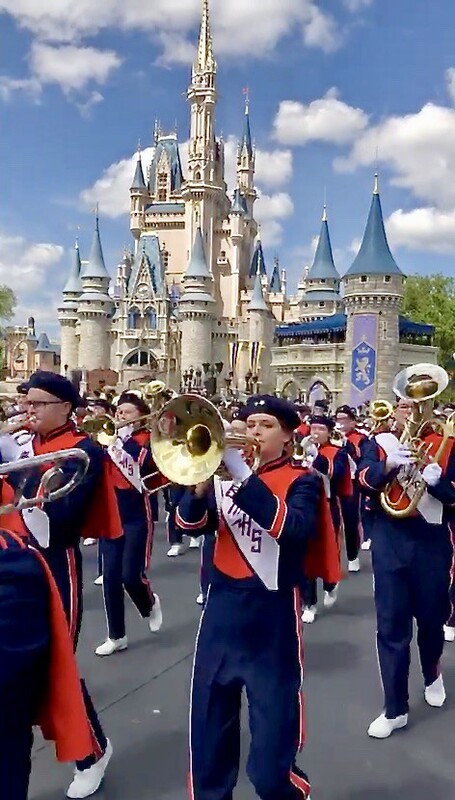 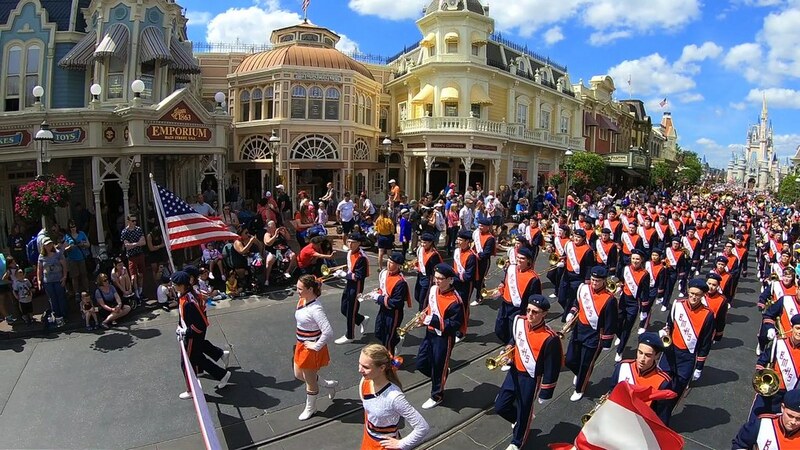 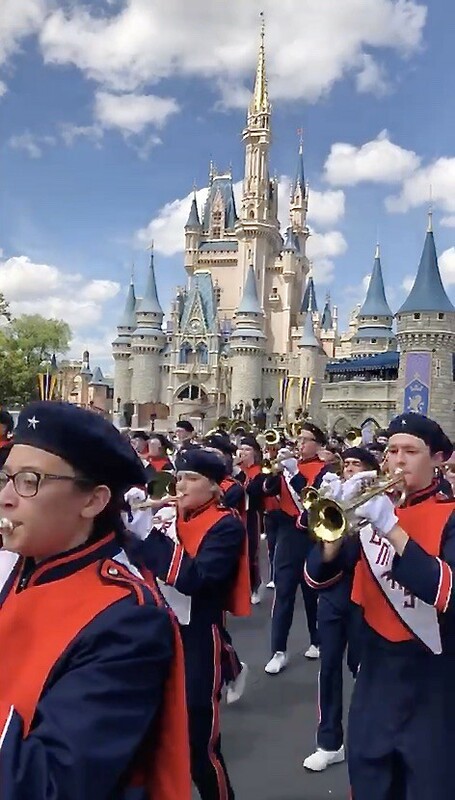 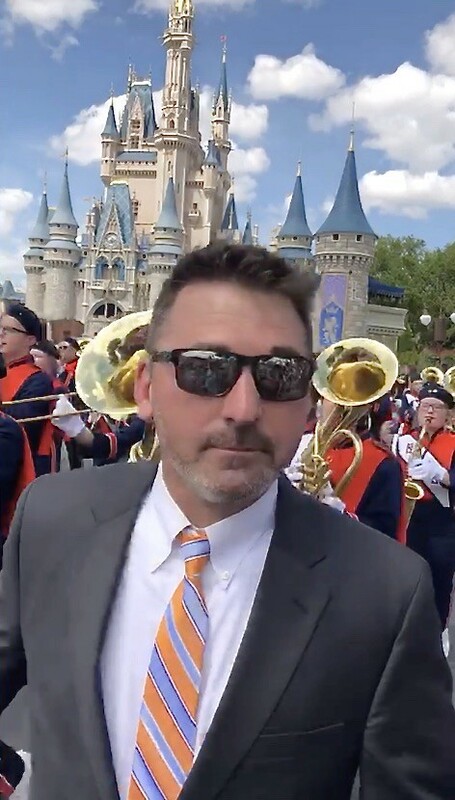 Eighteen months of planning and countless hours of rehearsal came together on a perfect Florida day as the Titan Band lead Disney’s Festival of Fantasy parade. 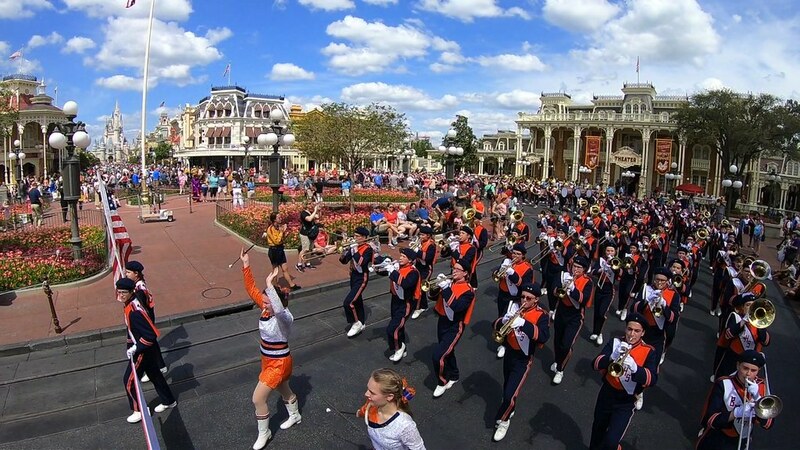 Disney reported that nearly 50,000 guests were in the park and lining the parade route. 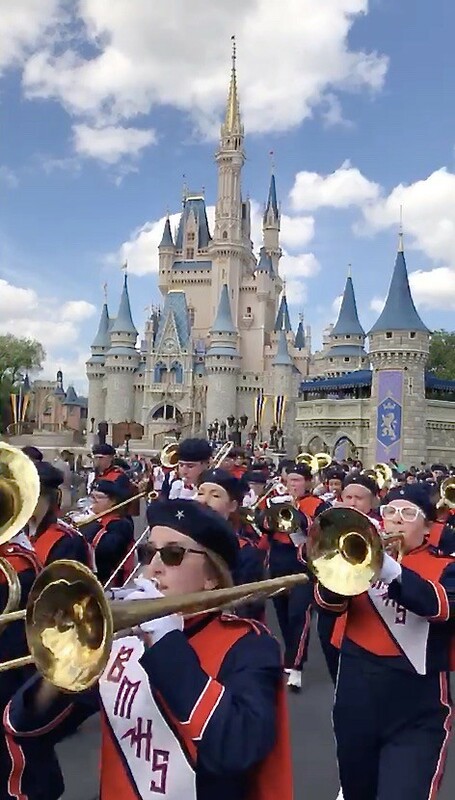 The band treated the audience to the state song of Ohio, Beautiful Ohio, the swing hit, Hey! 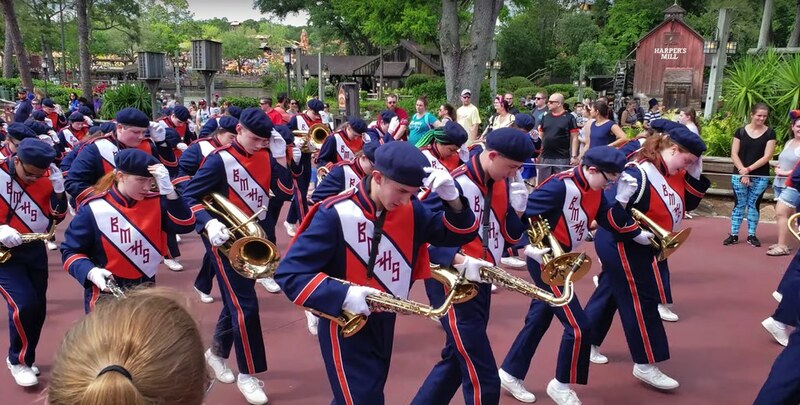 Pachuco and a number of the band’s parade cadences. 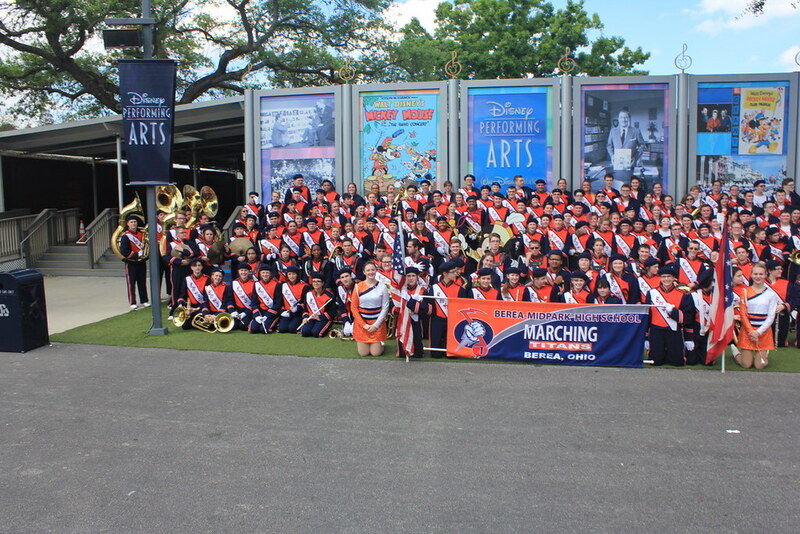 The photos give you a glimpse of everything from gathering outside the gates waiting to go backstage, to behind-the-scenes prep and of course the performance itself. 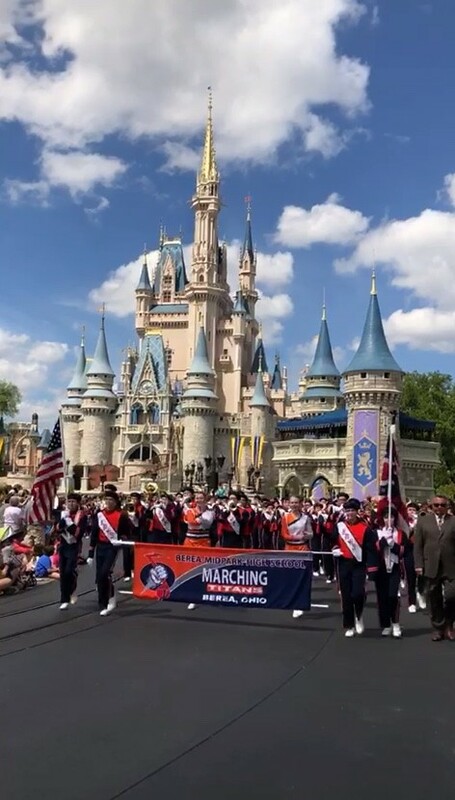 Special thanks to parents who lined the parade route and were able to send us a few pictures. 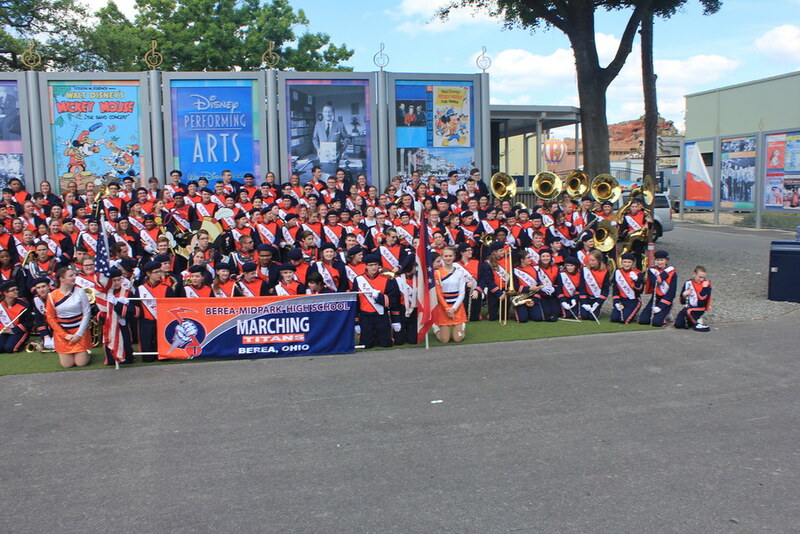 And as a special treat we invite you to march along with the Titan Band as viewed from the top of the Ohio flag. 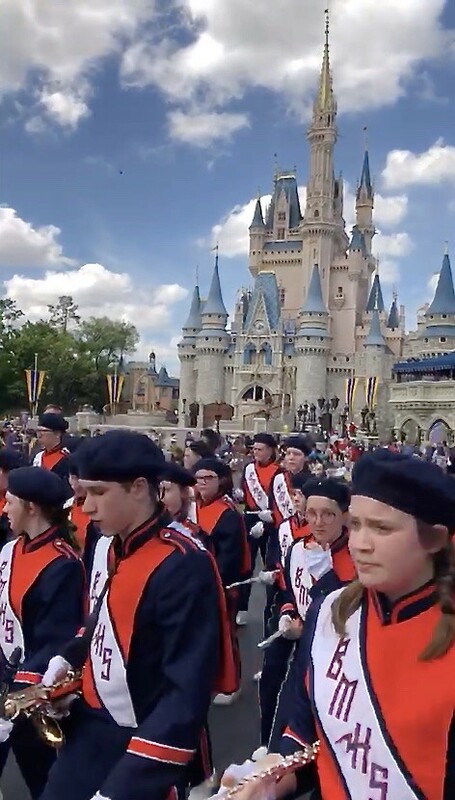 Our thanks to Disney Performing Arts for their permission to mount the camera and to Ohio flag bearer, Victoria Barth who kept a steady hand throughout the parade giving us this unique view. 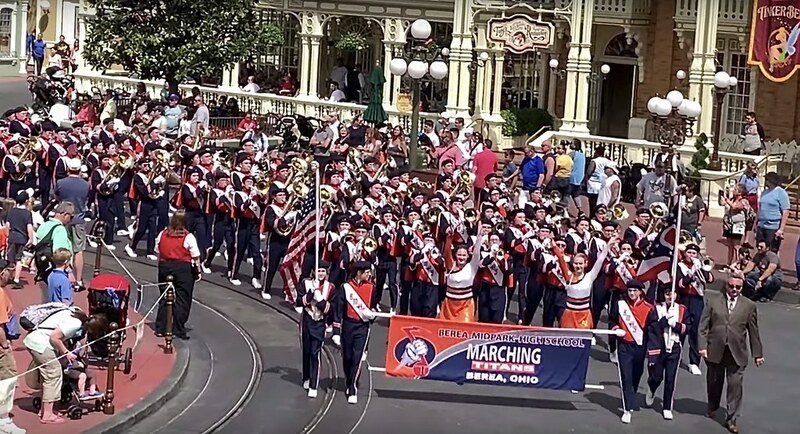 And an additional video shot by Mark Green & John Schuller. 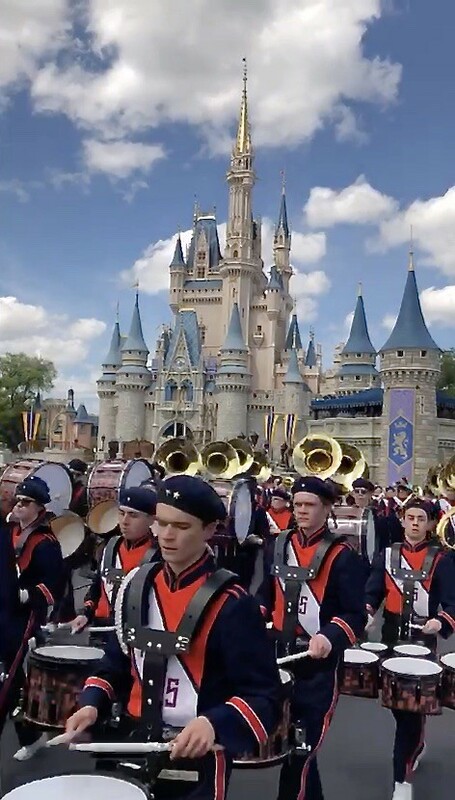 We hope you enjoy the photos and videos.